We are a limousine company that provides transportation to any destinations in Cabo San Lucas and San José del Cabo, or any special events. From Cabo San Lucas International Airport to your hotel in limousine services for weddings or any special events. It is very easy to book your limo with us. 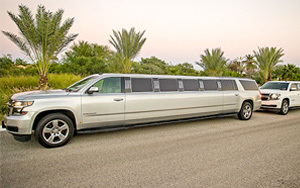 We have the largest fleet of vehicles in Cabo San Lucas for you to choose that most meets your needs: Cabo San Lucas Limo Rest assured that all our vehicles are duly licensed and insured, we guarantee that our service limo in Cabo San Lucas and San José del Cabo may meet and exceed your transportation needs. In Cabo San Lucas Limousines, we are proud of maintaining a fleet of luxury vehicles, we offer professional luxury transportation to hotels and major tourist destinations in Cabo San Lucas and the San José del Cabo, our main objective is to make your luxury travel experience, no worries without problems, guarantee high quality of service, our drivers are always pleasant, professional and bilingual. 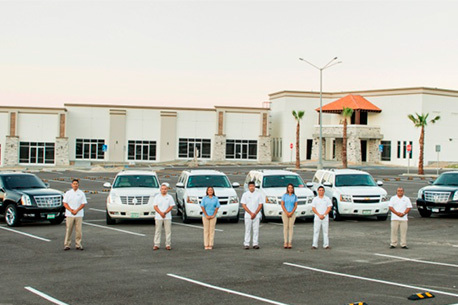 Rest assured that the customer service and security are the top priorities of each and every one of the drivers who are waiting at the airport in Cabos and the office staff, to ensure that they are completely satisfied from the time of booking until arrival at their final destination. We know you have other options, and our effort to be the best and keep prices low is constant, remember that we offer a safe and pleasant transportation to all destinations of Cabo San Lucas and the San José del Cabo. As well the limousine transportation service from the airport in Cabo San Lucas, Our friendly airport staff will take care of details, so all you have to do, is sit back and relax while we take care of all your ground transportation needs. 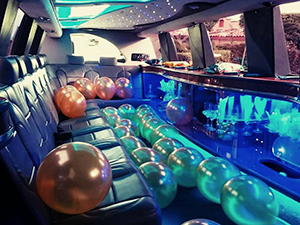 If you need a Limo for a romantic date, a bachelor party, bachelorette party, or simply to have a night out in Cabo San Lucas, or San José del Cabo and want to do with luxury and style, this limousine is the best option. This exotic Limousine lets you travel long and short distances with luxury and comfort while accentuating your personality as a person who deserves a VIP service. Our Limo Services from Cabo San Lucas airport are the best in the San José del Cabo, as our drivers are highly trained to give you the best information on Hotels, Tours, Excursions, Ecological Parks, Archaeological Sites and to provide any assistance, as well they are all subject to the highest international quality standards in presentation and service. Mirrored ceiling, TV LCD, DVD, Custom wave seats, Bar, Fiber optics, Single window stretch, Sparkling Wine, Privacy window divider, 8 passenger capacity. The Limo is designed for large groups, as it has a capacity of 10 passengers, this limousine is combining the power of a Pickup with the space that provides a limousine. If you are traveling with a large group, the Limousine is the best option, is fully equipped and spacious enough for 10 passengers can travel comfortably, regardless of their destination. Mirrored ceiling, TV LCD, DVD, Custom wave seats, Bar, Fiber optics, Single window stretch, Sparkling Wine, Privacy window divider, 10 passenger capacity, 8 with luggage. If you need a personalized transportation service, and can't find it on our website, please contact us by our Contact Form or call us at USA/CAN Toll Free: 1-888-644-7803, Toll Free Mexico: 01 -800-837-1358 and from the rest of the world: +52 (624) 980 0510 or by our online chat and one of our travel agents will assist you and will answer all your questions about our transfers services. The service was impeccable!!! We really appreciate your excellent service we experienced. Carretera Transpeninsular Km. 43.5 San José del Cabo, Baja California Sur , C.P. 23420. Copyright © 2019 - Transportes Turisticos Feraltar S.A de C.V.. All Rights Reserved.